If you enjoyed these fun Thanksgiving writing prompts,be sure to check back each week for more Writing Prompt Wednesdays! Thanksgiving can be a stressful holiday even for the most experienced cook. Many people likely have a story about a time when Thanksgiving dinner did not go quite as smoothly as they hoped. We asked one of your favorite food bloggers to tell her tale of Thanksgiving-gone-wrong, and we encourage you to share your own Thanksgiving mishaps in the comments section below! Thanksgivings in my family are potluck-style affairs. All the aunts and uncles and grandkids and great-grandkids show up at the designated house bearing side dishes and desserts. When it is my mom’s turn to host, my four siblings and I–the ones that no longer live there–are obligated to show early and help her finish the turkey, the stuffing, the mashed potatoes, and on one fateful Thanksgiving Day, the salad. 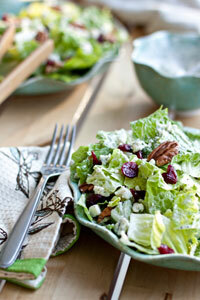 The salad in question was a family favorite that required a homemade poppy seed vinaigrette be whisked together. My daughter, adept in the ways of the kitchen, set out to help her grandma, measuring ingredients and slowly pouring the olive oil so that a perfect emulsion could be created. Just after the vinaigrette was completed, someone called my mom away from the kitchen activities to help add leaves to the table to accommodate the guests, who were due in just a few short minutes. She turned to my daughter and requested that she pour the vinaigrette into one of the small glass pitchers in the large cabinet. My daughter obliged, choosing a small white pitcher and slowly and carefully transferring the vinaigrette from one container to another, happy to be contributing to the family meal. When Grandma returned, however, she was squealing and sighing with less than a delighted tone to her voice, for the small white “pitcher” her granddaughter had chosen from the lowest shelf in the large cabinet (for those were easiest to reach over the crystal that resided on the top shelf) was really more of a pot, a Neti Pot. Shaina Olmanson is the cook, freelance writer, photographer, and mother of four behind Food for My Family, which was named one of the top ten Top 100 Mom Food Blogs by Babble.com in 2010, 2011, and 2012. She is the author of Desserts in Jars: 50 Sweet Treats that Shine, has served as the food editor for LifetimeMoms and daily contributor to Babble’s Family Kitchen, and contributes regularly to FoodYourWay.net and SimpleBites.net. She lives in Minneapolis, MN with her husband and kids. 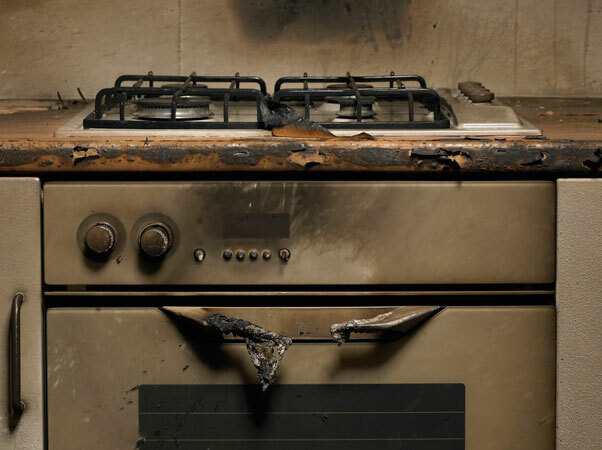 Tell us in the comments your own Thanksgiving disaster stories. Don’t be shy – we know everyone has messed up Thanksgiving in some way at least once.